Matthew Dawkins here, to talk a little about the upcoming Werewolf: The Forsaken book I’m developing called Shunned by the Moon. Shunned by the Moon is a Night Horrors book. Steadily, we appear to be releasing a new Night Horrors book for each and every Chronicles of Darkness line and this pleases me a great deal. The intention is to provide a grab-bag of interesting antagonists and supporting characters for anyone’s chronicle, whether to populate a cast or inspire compelling plots tied into the mythology of each game line. My writers in this case are hard at work creating a gang of horrifying bastards for Werewolf. We’re currently deep into redlines, but things are already shaping up to sound fun and disturbing in equal measure. Just looking at some of the developing concepts, we’ve got everything from a fallen Pure Totem (how does something fall so far that even the Pure won’t accept it?) to several new, horrifying Idigam. There’s a set of new hosts waiting to spill out of 2nd edition’s body, from locusts to frogs, through to coverage of the Pure’s signature Gifts and hunting methods, and some characters from those loveliest of Father Wolf’s tribes. We even have Bale Hounds, examples of some wicked spirit-ridden, and a new breed of critter called the Geryo that can tie into the Contagion Chronicle and Beast: The Primordial, or stand alone as its own antagonist. More on that in a future blog post. To cap all that off, we have Ghost Wolves and even some mortal threats to the poor Forsaken. 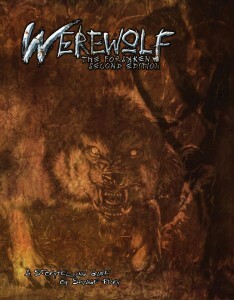 One of the reasons I love Werewolf: The Forsaken is the same as my reason for loving comicbook heroes. Heroes are defined and strengthened by their cast of villains. Batman is great because he has the Joker, Catwoman, Scarecrow, and Two-Face. Spider-Man is great because he has Venom, Doc Ock, Mysterio, and the Lizard. So it goes. Werewolf is great, to me, because it has the best plethora of antagonists of any Chronicles of Darkness line. We have the Pure, Bale Hounds, unruly spirits, the spirit-ridden, hosts, Idigam, hunters (let’s not forget them! ), each other (Forsaken don’t always get along), and the Geryo (again, more on them in a future blog). No wonder werewolves are so damn angry. It seems the world’s monsters all hate them. Bestiaries, Monster Manuals, Creature Collections, and Night Horrors books are some of my favourite RPG sourcebooks, simply due to the range of stories waiting to emerge from their pages. Rich antagonists with accompanying art always draw my eye and start my imagination going. I’m pleased to say my writing team on Shunned by the Moon – a book of creatures abandoned by Luna, or that turned their back on her – shares this enthusiasm for villains of many shades lighting the fuse for exciting chronicles. Despite this, I’m aware Werewolf doesn’t necessarily grab a group of players as easily as games like Vampire: The Requiem or Changeling: The Lost. The concept of playing an oftentimes savage creature forms a disconnect for some prospective players. With this in mind, I’m having one of the writers on this book write a chapter that hopefully acts a cross between an enthusiastic essay about the game’s many strengths and avenues of play, and as an elevator pitch any Storyteller can read to themselves or provide to an intrigued player, to really clamp the game’s claws onto some new prey. It will accompany the range of monsters and bad apples present in this book to push you in the direction of fresh chronicles and new approaches to Werewolf: The Forsaken. Early days though they may be right now, I’m very excited to unveil more of this book in the future. 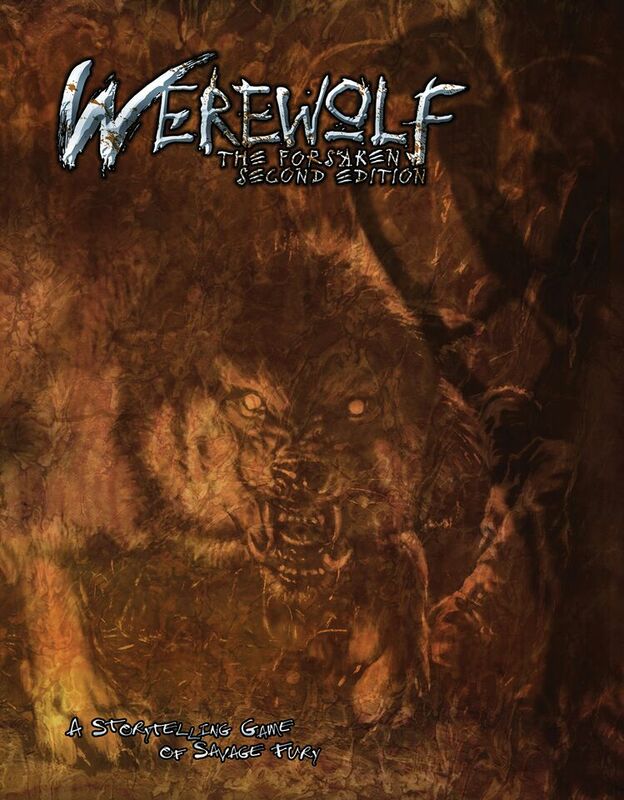 I would love to see some of your comments below on what it is about Werewolf: The Forsaken that inspires you or even what barrier to entry you face with this game. Perhaps my writers and I can push you through the Gauntlet and into a chronicle of hunting, slashing, and biting. Cannot wait to get my paws on this. New Hosts you say? I want it even more now if that’s possible at all. I’m not sure what to be more excited for with this book, there’s a lot. Very excited. I think the essay is perfectly timed and something I didn’t know I was in desperate need of for attracting new players. Literally everything mentioned is right up my alley, so I’ll just set aside the money now. The Night Horrors books are always great, but hearing that I can expect an essay about the game knocks this into “Must buy” territory for me. matthrew loved your youtube videos and yah loved all the nigh horror books. Hey a suggestion to promote the book how about a video on the Forsaken or like hey the Pure tribes. This sounds like a pretty cool idea to me! Werewolf and Promethean are my favorite lines so I’m always excited to see more content for either. I’m especially interested to see what’s coming for the Pure. While obviously a Night Horrors book covering so many different antagonists has only so much space for each, Leath and I have done our best to cram as much stuff into the Pure section as we can! I’m very interested to see the Maeljin and Wounds get updated given the move away from having the seven deadly sins act as cosmological constants via Vice. Do you go into them any deeper than as background for the Balehounds? Problem, as you say, is the savage time-bomb aspect becomes harder to deal with once you realize everyone is that close to 10-30 minutes of hard-to-conceal urban rampage. Alongside their erstwhile Pure opponents, even. Perhaps there may be something that touches on damage-control and how these antagonists avoid drawing so much publicity? Lunacy works even for Pure, but who wants to explain an abattoir? What makes the line hard to approach for me: the perceived difficulty of running small games. Playing with one or two players, but it often feels the default should be with a bigger pack than a lone wolf or two with attendant wolf-bloods. There are obvious workarounds, but having a two or even one PC pack feels disadvantaged – even with lots of NPC wolfbloods and mortals in the pack. This can, of course, be a feature rather than a bug, adding satisfying tensions, but in earlier games it felt like we were swimming upstream against the lore. What we love: well, I love the tools the wolf has. Not the most powerful in the world, but armed with tactical approaches. Plus the focus on family. And the cosmic horrors threatening that family. The bleak universe, and the notion that the only thing between your family and the abyss is a thin edge of brutal violence and intense planning. Knowing that your PC is also part of the problem, and the tensions in managing this; trying to ensure that the PCs are more of a boon to their mortal pack-members than the worst risk of the abyss; this is a fantastic source of tension, that keeps me coming back. Wow, I hope this displays properly because I get wordy. Anyway! Firstly, I’m super hyped for this book. I always love Night Horrors, and the Pure are some of my favorite antagonists in any game line ever. Plus, if the Geryo will fit in a Beast game, that’s absolutely perfect since I’m running a Beast/Werewolf game right now and we’re mmmmaybe roughly at the midpoint right now (but probably closer to the earlier bits of that) after just under a year of playing, so if they make good endgame villains I might just be able to squeeze one in after the book is out, knock on wood. ;> Of course, myself with my Storm Lord bias, I’m also quite excited to see more on the Ridden! It seems like every Tribe will certainly be spoiled for their choice of prey in this book, which is excellent. On the subject of what inspires me, it took me a while to warm up to Forsaken. I was a diehard fan of Apocalypse and it still has a very special place in my heart. The 1e core was not a great introduction for a lot of reasons, some of which are very strictly personal ones. I won’t get into that because a lot of them are my own peculiarities at work, but it definitely took 2e to grab my interest, and running the game itself to have it click for me. There’s a lot of good to talk about with Forsaken. As I mentioned above, I love the Pure versus Forsaken conflict. While the Pure are quite often reprehensible, I think that they’re still understandable in their motivations, in the sense I could see why someone who’s sufficiently lonely or vulnerable would join them. That adds a very, if you’ll pardon the term, humanizing edge to them which makes them thoroughly compelling. The Forsaken have plenty else to hunt, but I tend to find myself coming back to the Pure, aforementioned Storm Lord bias aside. Finally, I wish I could compress everything positive I have to say about the mechanics into a few sentences since I’m already being long-winded, but it’s just mechanically a very satisfying game. There’s tons of interesting tactical choices for players and GMs alike, and being able to build up from tracking and chasing down the prey to that final burst of ferocious carnage that Gauru brings at the culmination of the hunt is a visceral thrill to see in action. Werewolves *feel* every bit the powerful hunters they’re built up to be. So, the rougher bits. I’ll say I’m operating partially from personal and partially from learned experience here, but my sample group is my current gaming group. Everyone but me was new to Chronicles of Darkness, so I had to pitch all the concepts to them and walk them through the cores. I noticed two issues when trying to get people engaged with Werewolf, though I don’t know if these are things that can really be addressed in the book. The first I say might be better addressed in another book because, well, it’s probably best that it’s saved for Secrets of the Tribes or a Player’s Guide, since it directly concerns the Tribes. Auspices work great for evoking mental images of what kind of character (and monster) you’re going to be playing, especially since they’re easily mappable to RPG classes. Tribes…not so much. I do want to say I think the Tribes *are* interesting (especially after extensively reading Tribes of the Moon,) and the core makes a heroic effort in trying to present them well, but cultures are more complex than “you’re a gryphon-like monster,” or “you’re a robot given full sapience thanks to the Divine Fire.” I know the pains of wordcount and it can be very difficult to compress everything someone needs to know about something as in-depth as a religious subculture of a sort into such a small wordcount. I just know that when I was trying to introduce players to the Tribes, the most common reaction I got was “why would I want to bother joining with these people?” or “what are the differences between them?” Tribes, I’ve noticed, tend to not grab people right away, and the writeups have to split time between telling Tribal myths, explaining Tribal prey, talking about how each Auspice functions in the Tribe, Tribal practices in specific areas, and so on and so forth. There’s not much room to talk about what would draw someone to the Tribal Totem, how the Tribes recruit people, what might drive them to hunt their specific Tribal prey, how their Tribal oath helps in dealing with life as an Uratha and against their Tribal prey, what skills they pick up from dealing with their Tribal prey, and other things of that nature. But they were definitely questions I had when I was reading the book. I exaggerate a bit, the Hunters in Darkness writeup has a short fable told of Black Wolf hunting the Hosts and why her children swore the Tribal oath they did, and I think there’s a similar one for Death Wolf. In fact I think all of the oaths are explained through just-so stories if memory serves, but part of me kind of wishes that each Tribe had those sorts of just-so stories around their Tribal prey just to give people more a concept of the Tribe’s focus. Also, I don’t think it helps that the Ghost Wolf sample character gives the funniest and most relatable descriptions of the other factions, which makes people drift more towards them. :p I think sets of physical styles representing tracking and hunting techniques, the sorts of stuff that would lead up to the end of a hunt, might help with showing through gameplay what differentiates each Tribe but I’ll fully admit I’ve struggled in my attempts at prototyping such a thing. It’s difficult to make them unique from Gifts and I still don’t have anything to my satisfaction yet. I do like the Tribe-specific merits quite a bit for that reason, but I’m getting off course here. Oooh, an essay? That’s actually quite intriguing! In terms of barriers to entry, I can think of a few (that haven’t already been said by others). 1. There’s a lot of buy-in. Aside from what’s already been mentioned (having to make a full pack), CoD werewolves are VERY different from most popular depictions of werewolves, and that can be a hard bar to clear. Related to that — there’s also a lot of crunch to process. Gifts, Rites, Forms, Renown Flaring, Siskur-Dah Conditions, Hunter’s Aspect, etc etc etc. And for the large part, they’re all different systems. It can be easy to lose yourself in all the varied things Werewolves can do. 2. The spirit world is such an interesting concept, but it can be hard to wrap your head around exactly what it looks like. Is this Silent Hill? Is this Silent Hill early on when there’s just mist and a few weird monsters? Is this Silent Hill later in the game where things have gone completely bonkers? Sometimes I think this is something examples would help with. I remember a Changeling supplement which once detailed how the Hedge changed for different ecological terrain. Or sample Spirit Court structures. 3. Speaking as a GM, it’s not an easy game to run improvisationally. Especially regarding spirits. Don’t get me wrong, I don’t mind putting in my homework, but I find that when the rubber hits the road with players, being able to pull out some low-level minions or sudden twists goes a long way. You never know what those rascally players will do, after all. On any given trip to the Shadow, werewolves might encounter a LOT of a large variety of spirits, each with their own stats, ban, and bane. And bans and banes aren’t exactly easy to come up with quickly off the top of your head.